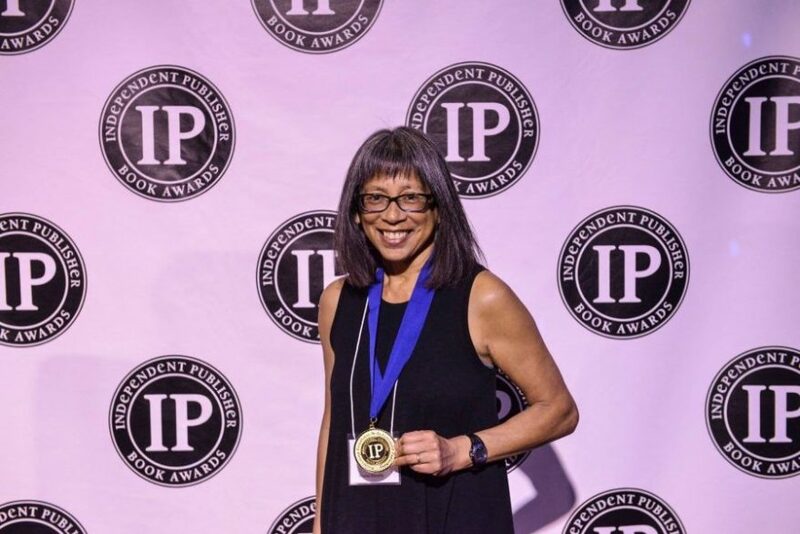 Donna Miscolta receiving the Independent Publisher gold medal in New York in May. We recently got a tip that a Green Lake resident and author was nominated for a Seattle Weekly Best of Seattle 2017 award. Her name is Donna Miscolta and she is an award winning writer. We asked her a few questions to find out a bit about her writing and ties to Green Lake. SG: How long have you been writing? DM: I started writing in the fall of 1992 when I signed up for a fiction writing class through the UW Extension Program. I immediately started a practice of writing an hour each night after work and after the kids were in bed. I’m not a fast writer and often I would produce no more than a few paragraphs, which is why it took so long to produce two books. My novel When the de la Cruz Family Danced was published in 2011, and my story collection Hola and Goodbye came out last year. Of course, a number of those years since 1992 were spent trying to find a publisher. SG: Is that your full time profession? DM: I’ve worked full-time as a project manager for King County for almost thirty years. I work on education programs focused on resource conservation and proper use, storage, and disposal of household hazardous products. SG: Is Hola and Goodbye your first book? DM: My novel When the de la Cruz Family Danced was published first, but I was often working on both books in parallel over the years, sort of switching back and forth when one or the other project got stalled. SG: Can you tell me a little bit about Hola and Goodbye? DM: Hola and Goodbye is a collection of stories about the lives of family members over three generations, the first of which came from Mexico. Language, race, and gender conspire to thwart an easy sense of identity for these family members seeking to belong in America. They must balance loss of the traditional and the familiar with the exhilarating promise of the new. In the 1920s Southern California, Lupita Camacho settles not far from the border—and so begins the journey of an American family: from fish cannery jobs and halting English of the newcomers to their children’s goals of dancing championships and dreams of kidney-shaped pools, then on to the wide-open lives of the grandchildren: a karaoke barkeep, twin female wrestling champs, a mentally fragile beauty. Lupita’s American-born children must make peace with lives that never quite match the pages of Ladies Home Journal. Lupita’s English-only-speaking grandchildren discover that they somehow remain not quite “at home in America.” Each of these generations must respond to a particular question: What’s it like to move to a new country and adapt to a new language and culture? What happens to your dreams when opportunities and expectations of you are low? How do you learn to claim your space when you don’t seem to fit? The answers bind these family members to each other, even as they break away to their separate lives. SG: What inspired you to write it? DM: I was curious about those three questions above. As someone whose father and maternal grandparents were immigrants, I was interested in how their struggles to assimilate affected them, and how subsequent generations were affected in terms of identity, opportunity, and a sense of place or belonging. 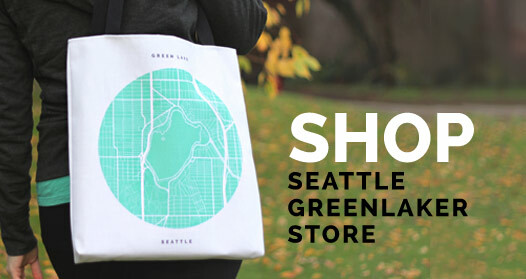 How long have you lived in Green Lake? DM: My husband and I bought our house in 1984. We raised two daughters in it. We were once the young family on the block. Now we’re the oldsters. SG: Anything else you would like to add? DM: The book has received a several awards. First, when it was in manuscript form, it won the Doris Bakwin Award for Writing by a Woman, sponsored by Carolina Wren Press who then published it. 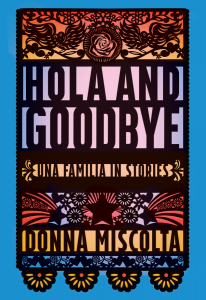 Hola and Goodbye has also won an Independent Publisher gold medal for Best Regional Fiction, and it’s a finalist for an International Latino Book Award. Recently, I was a finalist in the Seattle Weekly Best of Seattle reader poll for Best Author. It was quite a surprise and an honor to be on the list with some famous authors, among them Sherman Alexie, Lindy West, Maria Semple, and Domingo Martinez, who was a finalist for the National Book Award several years ago. SG: Thank you, Donna. I already have your book on hold at the Green Lake Library.